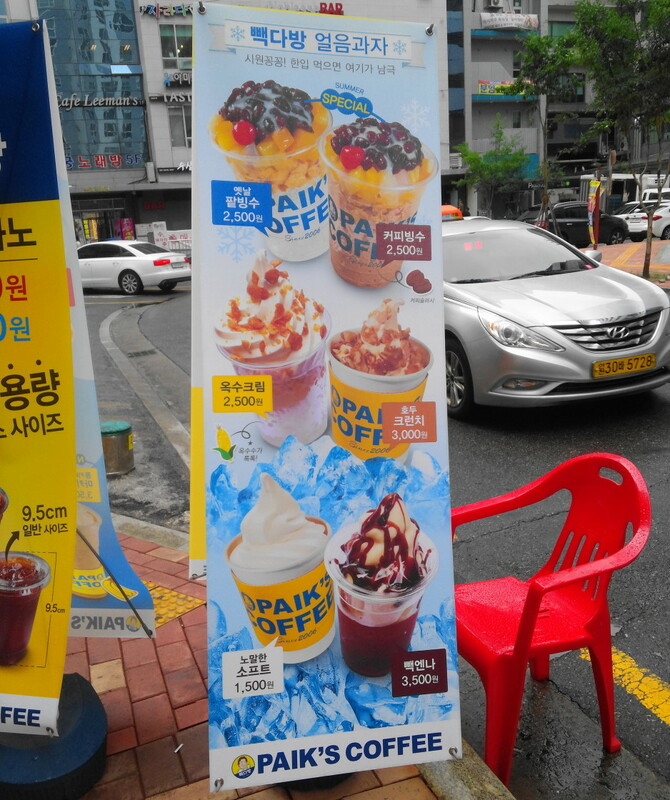 Thoughts: Firstly the prices of the Coffees is the main highlight W2000 for a basic Americano Ice Coffee. 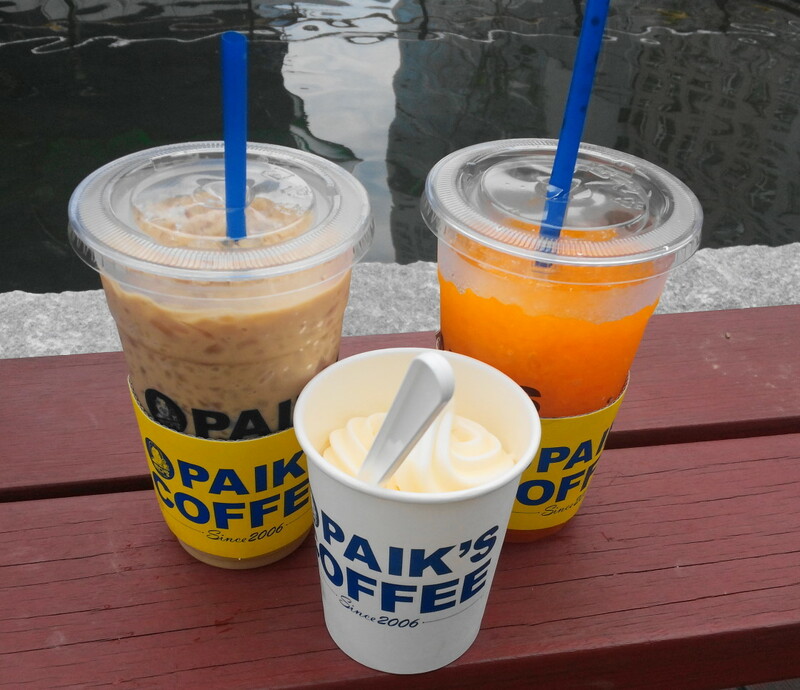 Lattes and others cost around W3000 making them cheaper than Starbucks and other coffee shop chains. 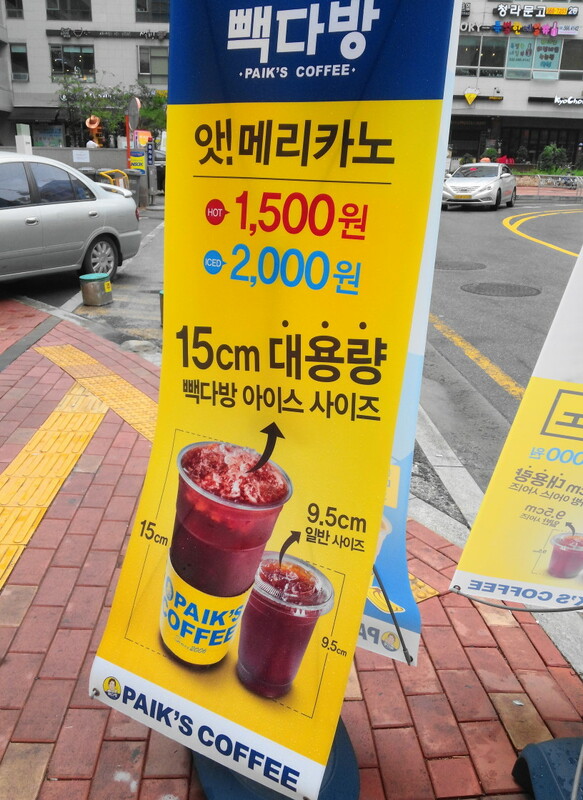 Secondly the size of the coffee is larger than most containing around 500ml. 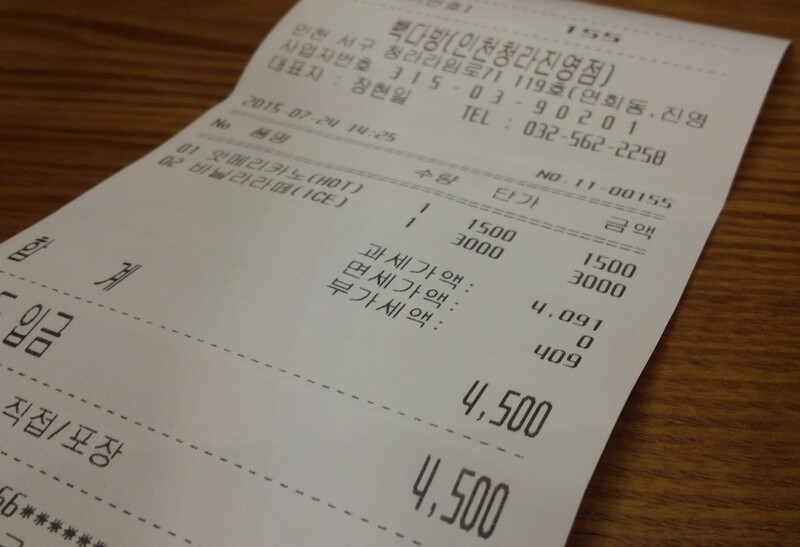 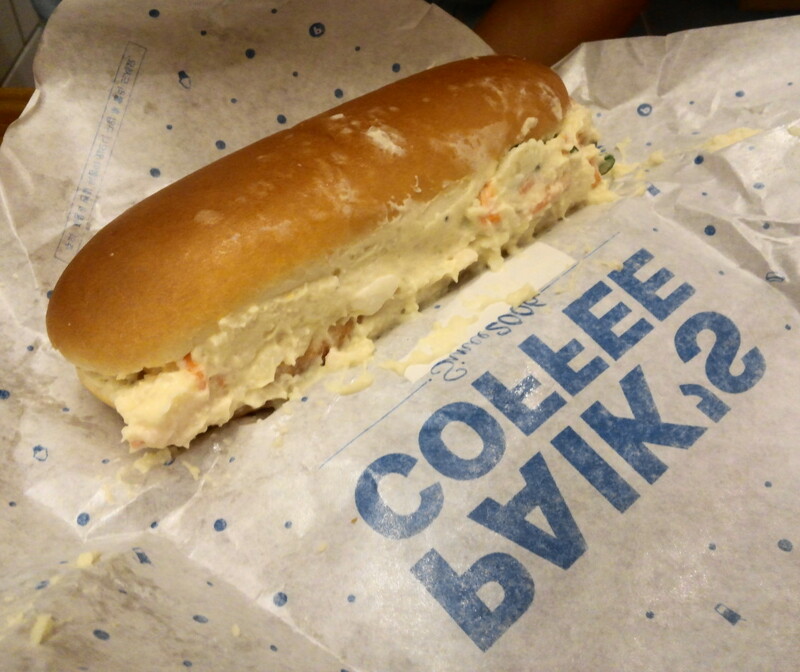 Finally the other items on the menu such as the soft serve ice-cream are also great value. 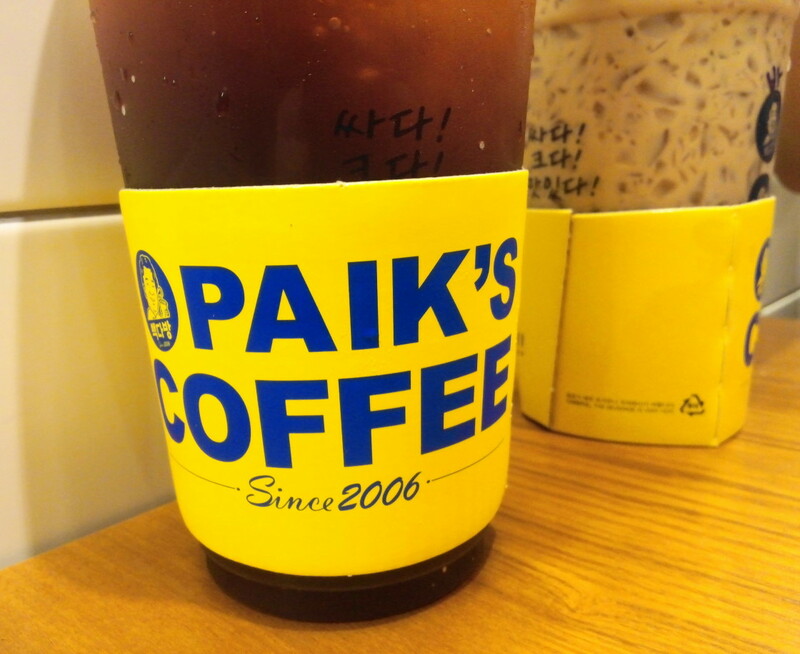 On the negative side, you get want you pay for and so the quality is maybe a little lower than other chains. 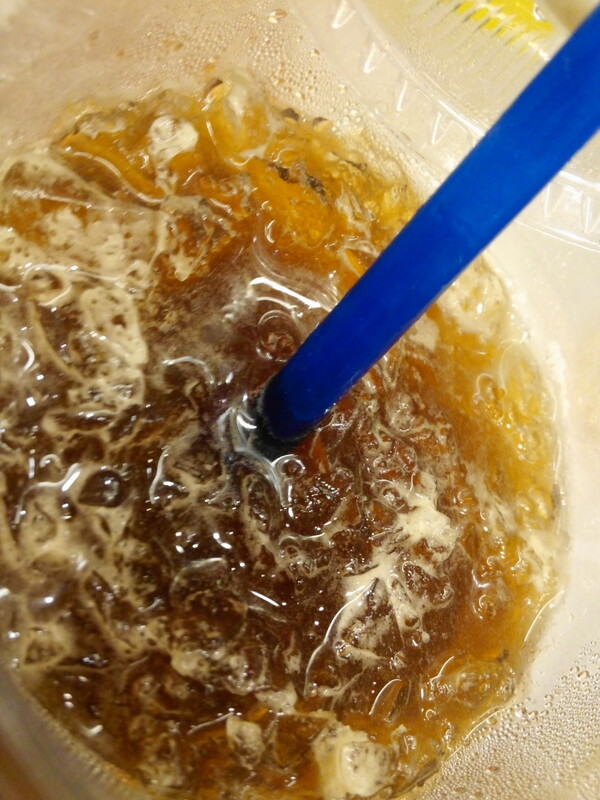 Also crushed ice isn’t for everyone and in the summer it melts quickly and waters down the coffee. 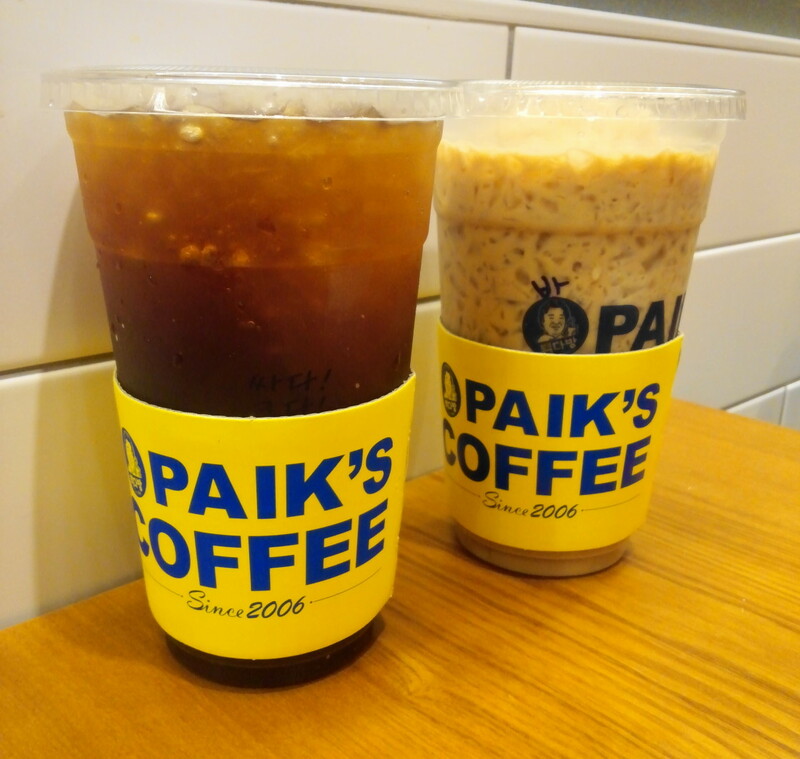 In Conclusion Paik’s Coffee is excellent value, has a nice range, simple menu and is of a reasonable quality for the price. 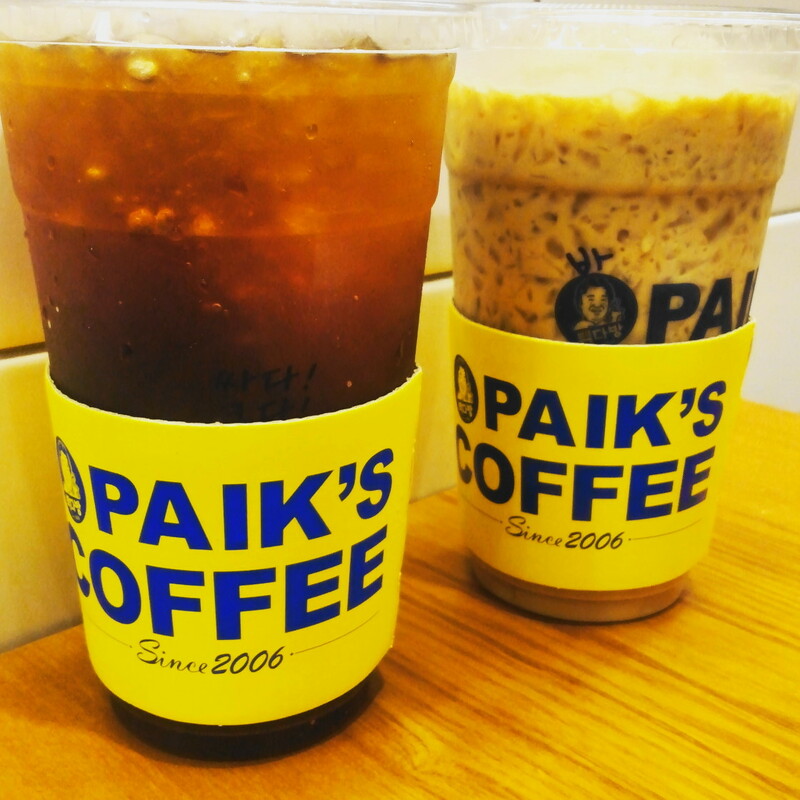 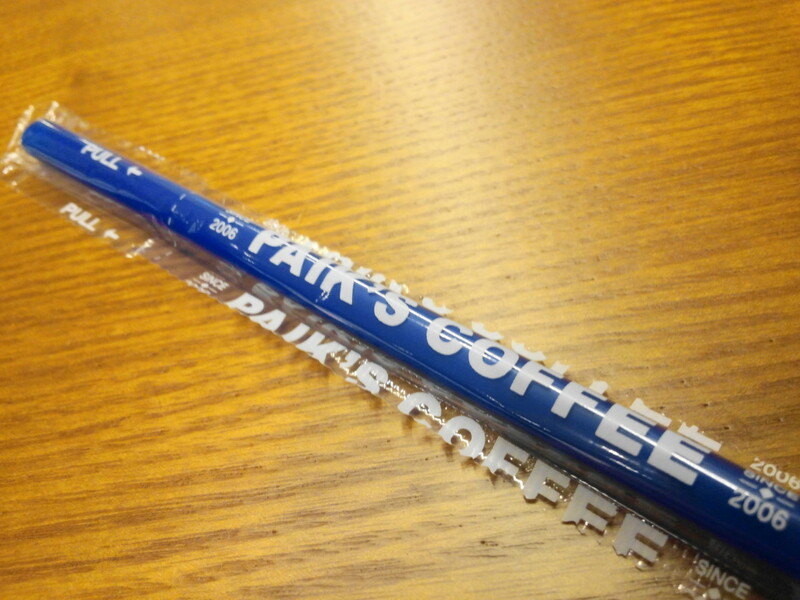 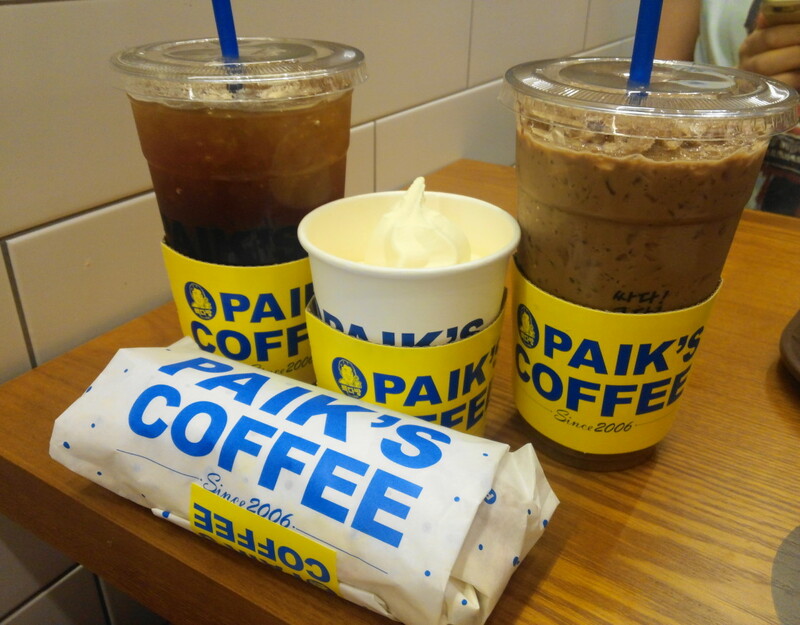 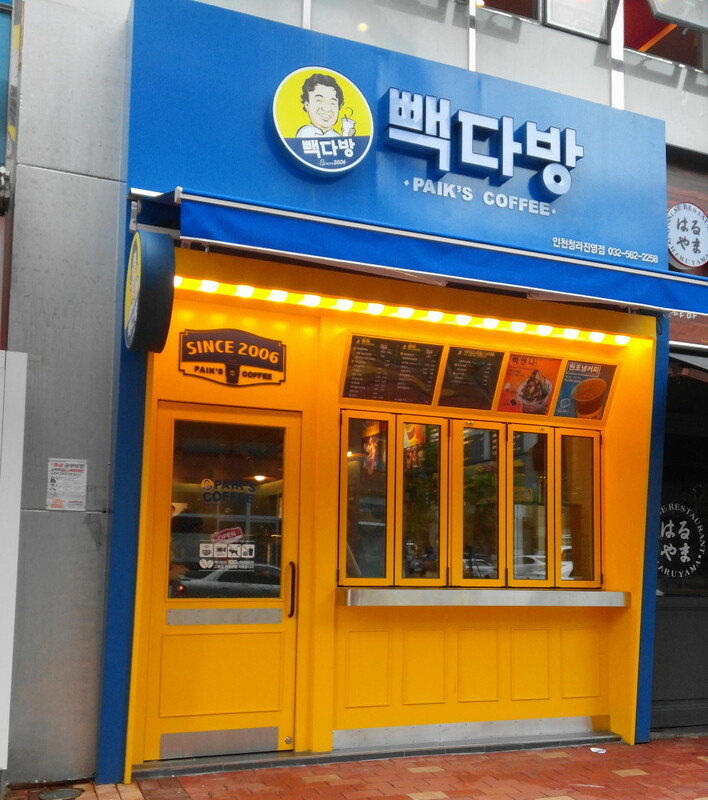 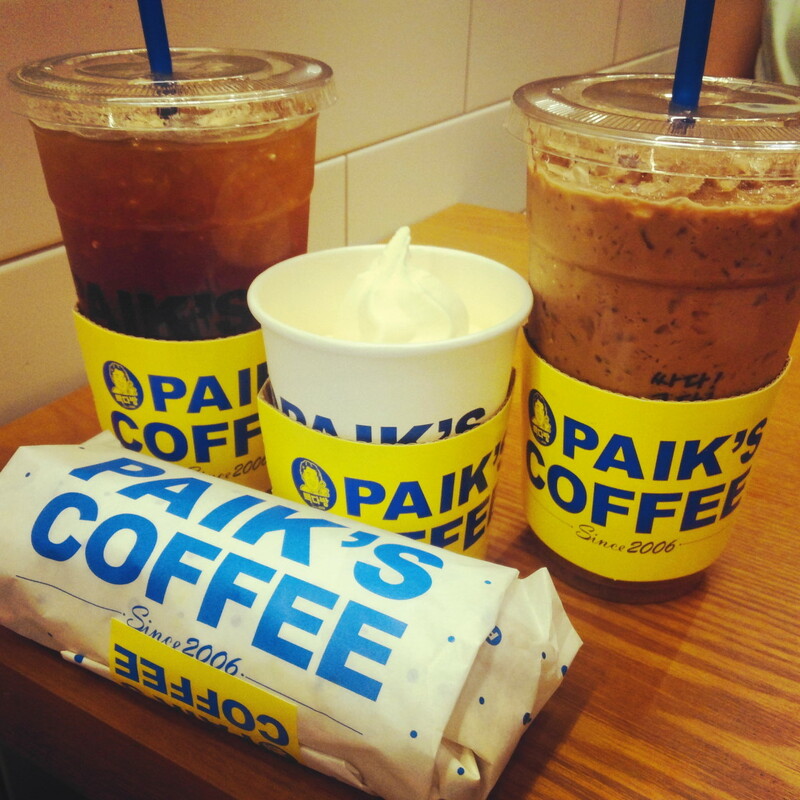 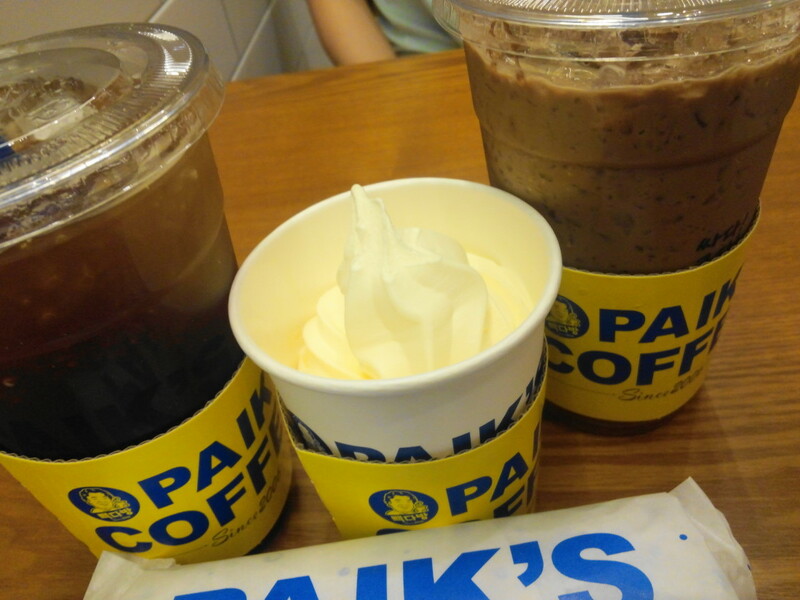 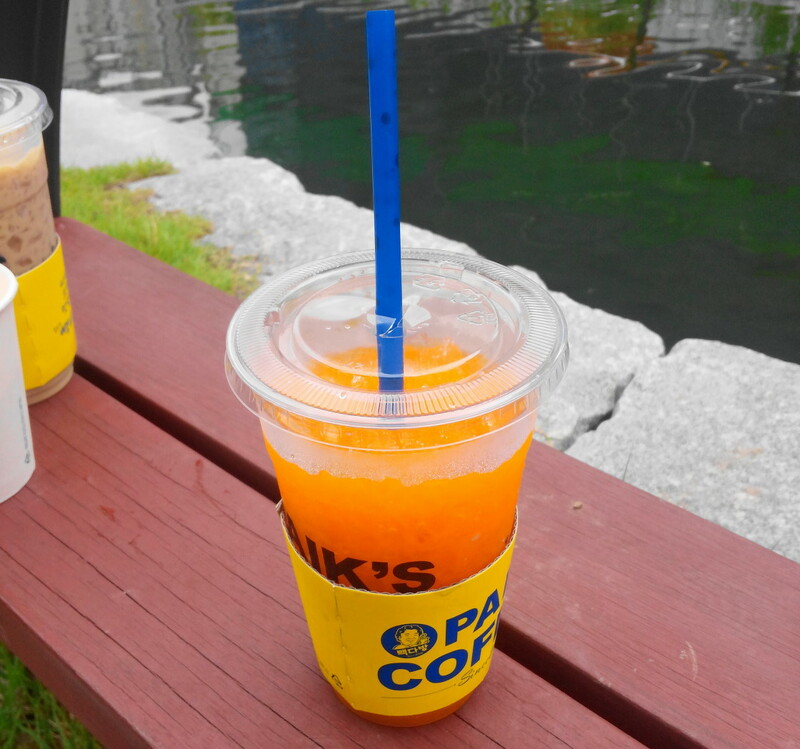 To find the close Paik’s Coffee to you try searching for 빽다방 on Naver or Daum Maps. 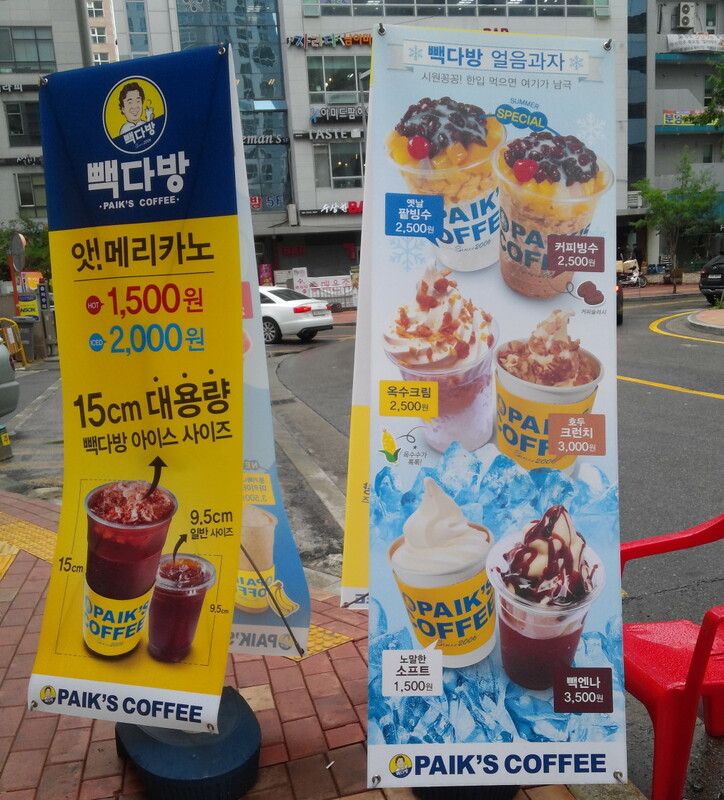 As always if you have any questions about Paik’s Coffee Korea or Coffee Shops in South Korea in general please feel free to let us know. 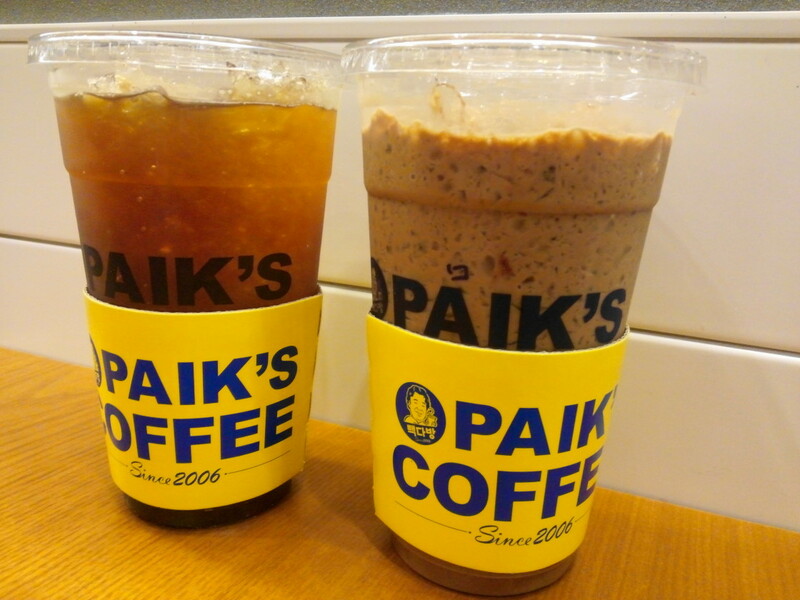 Either below, by Email or via Twitter or Facebook.